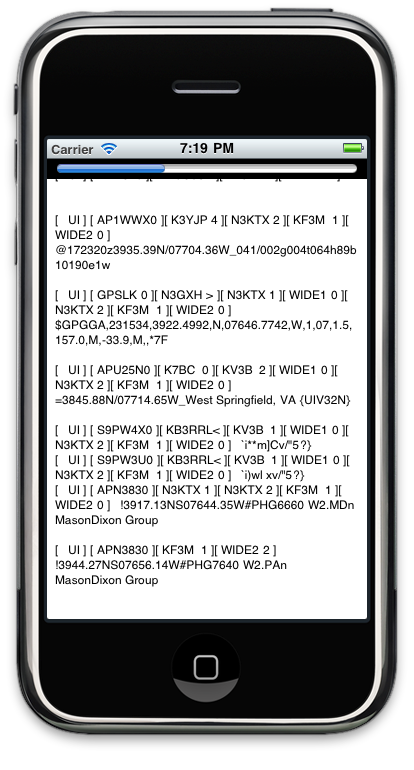 Display Packet Radio On Your iPhone and iPad! Want to monitor amateur radio (ham radio) packet radio transmissions? 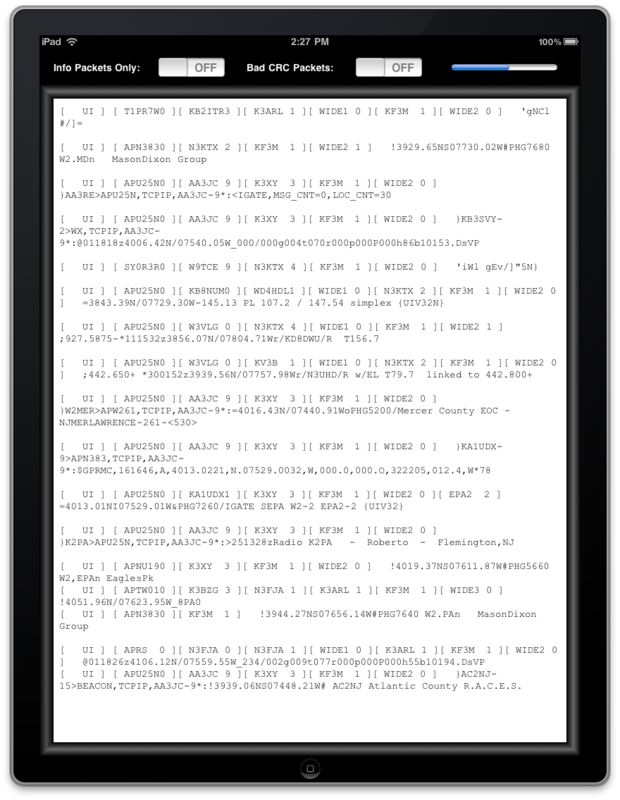 Packet Pad lets you view 1200 baud Packet Radio transmissions on your iPad, iPhone and iPod Touch. Just set it next to your radio, tune in a Packet frequency, and watch the decodes. Often headphones or earbuds will produce better quality audio than a built in radio speaker. Or for even better quality decodes, connect a patch cable from your radio's audio output to the microphone jack. Raw APRS (Automatic Packet Reporting System) packets are also displayed. Buy your copy now, and start copying packet radio transmissions in minutes. For the iPhone/iPod Touch also! Visit the Packet Pad FAQ page for full details on how to use the app.